The NFL season is coming to an end, and soon teams will decide which head coaches will stick around, and which ones will be looking for new jobs. -According to reports, the Indianapolis Colts have fired head coach Chuck Pagano. Pagano, wo returned from cancer treatment in 2012 to help guide the Colts to three straight playoff appearances, led the team to a 4-12 finish this year. 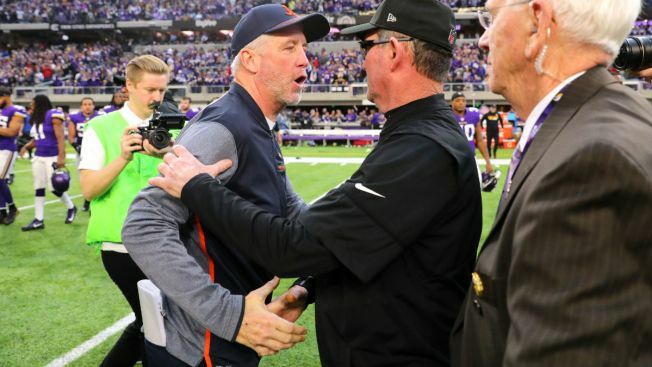 -Chicago Bears head coach John Fox has officially been fired after three seasons with the team. Fox went 14-34 in his Bears tenure, and the team has already begun requesting interviews with candidates to replace the veteran coach. -According to multiple reports, Arizona Cardinals head coach Bruce Arians has begun saying goodbye to people inside of the organization as he prepares to step away from coaching. -After reports surfaced that he would be fired, Denver Broncos head coach Vance Joseph will instead stay with the team after players lobbied for him to return. -The Detroit Lions have fired head coach Jim Caldwell despite having three winning seasons in four campaigns with the team. -The Oakland Raiders have made a head coaching change, firing Jack Del Rio after two seasons. The Raiders reportedly are all-in on pursuing former head coach, and current ESPN TV personality, Jon Gruden. Gruden will reportedly be offered an ownership stake in the team to return to the sidelines, and his skill in coaching quarterbacks will be required as he works with Derek Carr. -The Cleveland Browns, who became just the second team in NFL history to go 0-16 in a regular season, will keep head coach Hue Jackson next season, according to team owner Jimmy Haslam. Haslam says that he told new G.M. John Dorsey that he had to keep Jackson despite a 1-31 record over the last two seasons, saying that he doesn't think the coach has "lost his magic." -The Houston Texans still have a decision to make regarding their future direction, and they will have to do some work to fill holes in their personnel department as G.M. Rick Smith will take a leave of absence from the team to be with his wife as she battles breast cancer.